Have Scientists Identified an Effective Zika Treatment for Pregnant Women? Scientists may have discovered a human antibody that can help fight the Zika virus—and this is huge news for pregnant women and their fetuses. Researchers may have identified a breakthrough in the treatment of the Zika virus—and since the virus can have terrible effects on pregnant women and their fetuses, this news is hugely important. Researchers from Vanderbilt University Medical Center and Washington University School of Medicine have identified a human antibody that appears to significantlly reduce the infection's effects in mice. This research was published in Nature. 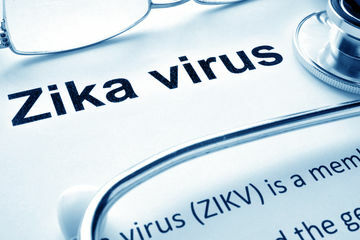 The antibody is called ZIKV-117 and while this finding is certainly reassuring, scientists will have to perform further testing to see if this is actually a viable course of treatment for pregnant women who contract the virus. "We evaluated the therapeutic efficacy of ZIKV-117 in pregnant and non-pregnant mice. mAb treatment markedly reduced tissue pathology, placental and fetal infection, and mortality in mice. Thus, neutralizing human mAbs can protect against maternal–fetal transmission, infection and disease, and reveal important determinants for structure-based rational vaccine design efforts.," the researchers said in the study. As we've previously reported, Zika has been linked to microcephaly, a disorder that causes infants to be born with abnormally small heads and incomplete brain development. Though the effects of the virus can be pretty mild for most people, pregnant women need to be incredibly careful to avoid exposure—and in light of this, the CDC has urged pregnant women and anyone who plans to conceive to avoid travel to the areas where the virus is spreading. Though a Zika vaccine has been in the works, according to researchers, the discovery of this antibody could help efforts to develop a safe and effective vaccine. "These naturally occurring human antibodies isolated from humans represent the first medical intervention that prevents Zika infection and damage to fetuses," James Crowe Jr., MD, the study's co-corresponding author, said in a release from Vanderbilt University. "We're excited because the data suggests we may have antibody treatments in hand that could be developed for use in pregnant women."